Mr. Gordon is a shareholder in and founder and chairman of the firm’s Business Restructuring & Bankruptcy Department. As one of the most influential and accomplished attorneys in Nevada, Mr. Gordon remains a prominent figure in the courtroom and business community. Throughout his four decades of legal service, the firm’s Business Restructuring & Bankruptcy Department has become synonymous with business restructuring and bankruptcy in the Southwest. 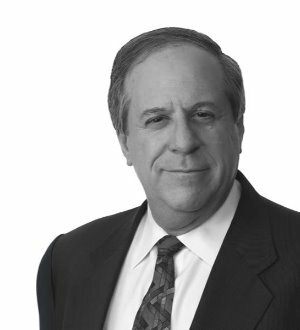 A certified specialist in business bankruptcy law by the American Board of Certification, Mr. Gordon has lectured extensively on both gaming and non-gaming related bankruptcy issues, including before the National Conference of Bankruptcy Judges. Mr. Gordon has either been lead counsel or integrally involved in all aspects of the firm’s complex insolvency practice. Mr. Gordon and the Business Restructuring & Bankruptcy Department have acted as lead debtor's counsel for several major resort properties including the Herbst Gaming Group, Black Gaming Group, Stratosphere Hotel & Casino, Maxim Hotel & Casino, Aladdin Hotel & Casino, Riviera Hotel & Casino, Fitzgerald’s Gaming Corp., American Wagering (Leroy's Sports Book) and Hooters Hotel & Casino.